Our premier membership – up to five staff enrolled at each of your locations. For large multi-location operators serving the 50+ market, staff salaries are often the biggest cost, typically running into millions annually. That's a big investment, and if your employees aren't doing their job properly through lack of knowledge or training, you're getting a poor return. 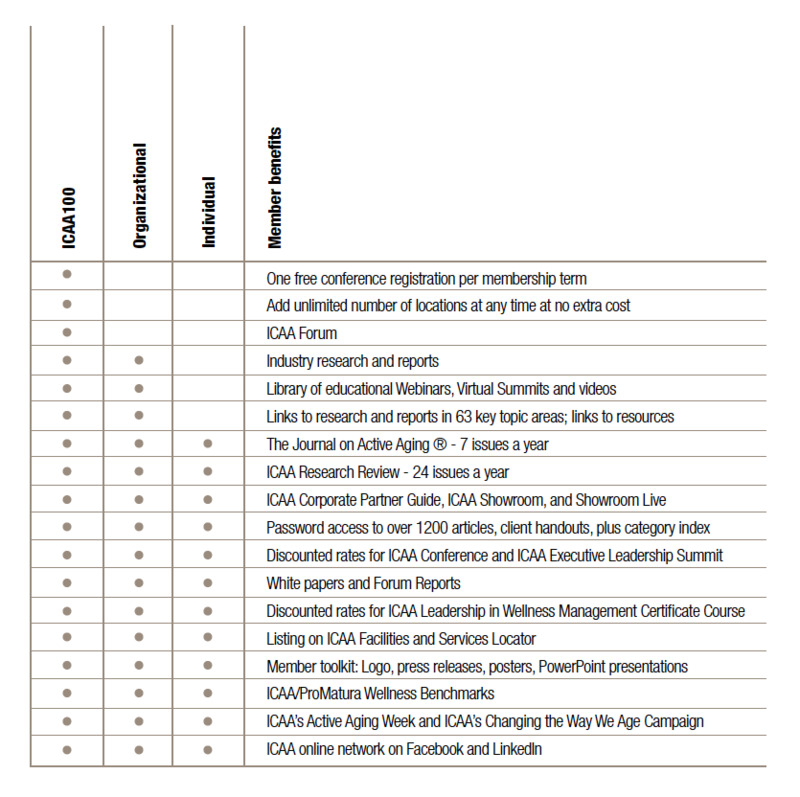 The ICAA 100 is our premier membership option, and for the biggest and most established companies, because of its low cost per individual, represents the best value. 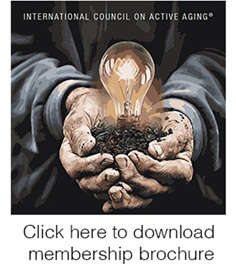 ICAA 100 members have access to all our membership benefits, including our impressive webinar and video library, research and reports library and Marketing Resource. You can add an unlimited number of locations at any time at no extra cost. And the ICAA 100 Membership includes participation in our bi-annual Forums – think-tanks uniting the brightest and best in free-flowing exchanges of ideas. One annual fee enrolls up to five people per location in each of your locations, and includes one complimentary Annual Conference entry fee. There's a reason ICAA 100 members reenlist every year. It works. Who it's for: Forward-thinking organizations with multiple locations. The cost: $5,650 a year.